Fine cellos, violas and violins are made of delicate materials and can get damaged, whether through poor storing conditions, exhaustive use, careless handling or unexpected accidents. The instrument’s owner must determine whether it is worth the cost of repairing, and what can be done. 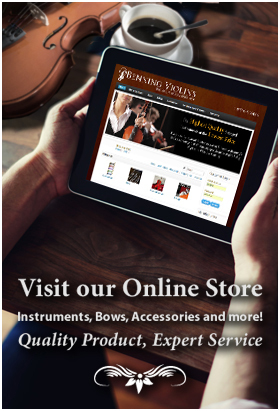 The art of repairing and restoring a violin’s parts has advanced considerably in recent decades, as there is value in preserving the integrity of the original maker’s work and keeping aged wood for its refined resonance. Some of the more common yet serious violin repairs are done for cracks, splitting seams and warping. When improperly stored, even the best-constructed violins left in conditions of extreme prolonged humidity or dryness will warp, crack or come unglued. Wood needs to breathe, and prolonged dry air will result in wood shrinking to the point of cracking. Cracks require regluing, possibly with the use of small wooden cleats across the line of the crack on the inside. A skilled violinmaker can recast warped parts and correct them in increments, using heat to plasticize the wood. Another common repair is to reset a fallen sound post. Only an expert, so as not to put the instrument at risk of further damage, should handle this procedure. Peg bushing repair is done for peg holes that have eroded from excessive force while tuning. Dings, chips and scratches are inevitable with a well-used instrument. 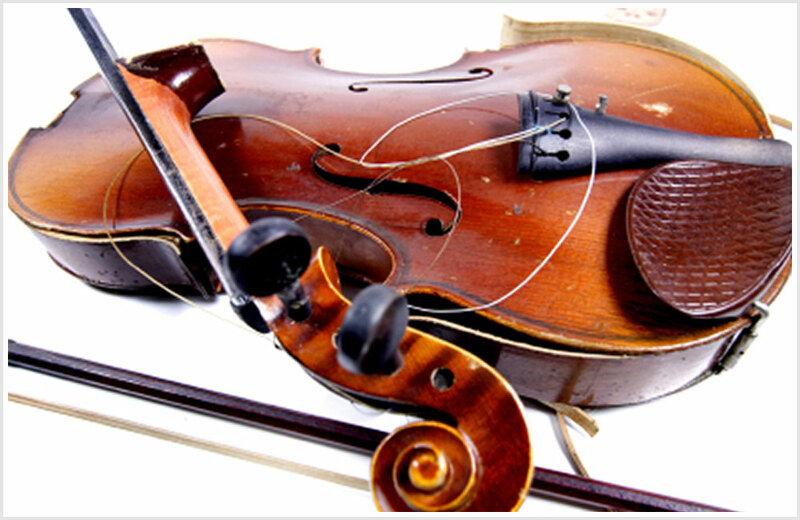 Broken strings can be replaced at home with care. Professional violinists require this skill, as they may need to replace a string every few weeks. Fine violin bows require maintenance over time. Rehairing is a common procedure that violinists will need to have done by a professional, as it is a tricky task and requires expensive tools and specialized knowledge. Some repairs are simply not worth the cost of being done. The instrument’s owner will need to compare the value of the instrument with the cost of the repair. It would be best to consult a local violin shop for the most informed cost-benefit analysis. Be aware: not all violinmakers perform violin repairs and restorations on violins. Before choosing which shop to take an instrument to, it’s wise to call the shop to inquire as to whether they perform major or minor repairs.